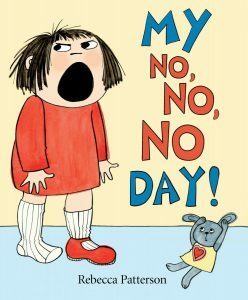 Discover 14 great books for dealing with grumpy days with your little one — recommended by the Brighter Readers Book Crew! Being little is not easy. It means hearing “no” a lot. It means that you are still learning how to use the words that mean what you want to say. And it also means that you are still learning how to make your body do the things you wish to do. Sometimes all of it adds up to a grumpy day. 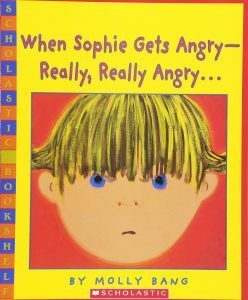 We asked members of our Brighter Readers Book Crew to share their favorite children’s books about dealing with anger. 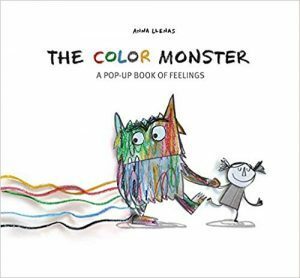 Their recommendations share the different ways kids express and deal with feelings, too. Check our list out and share your favorite reads about big feelings with us in the the comments! 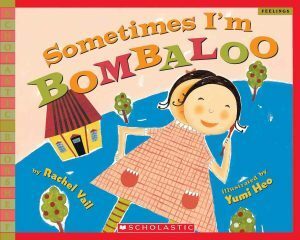 This book is about an issue all-too-common for families with more than one child — or families with children learning how to share. Peter is an only child until his sister is born. And he is upset when his parents paint his old baby furniture pink for her. 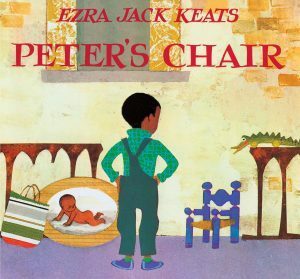 There’s one thing they haven’t painted yet, though: his little blue chair. He’ll do whatever it takes to save it — even run away! Peter comes to understand that sharing his special things with his sister is important. Little Critter is having quite the grumpy day. Whether he’s cranky on the slide or stubborn in the sandbox, both parents and children alike will relate to this story. 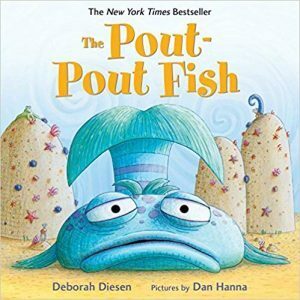 “First off, we love basically every Little Critter book. 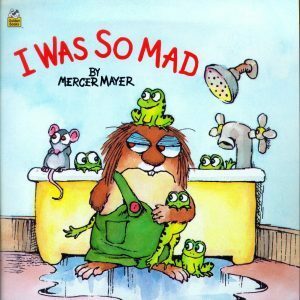 This one is a simple story of Little Critter trying to do all sorts of things that the grown-ups around him do not approve. After he’s told to stop each activity, he reflects on how mad he feels. And that’s completely okay! It’s also okay to have your feelings change at the end of the story! However, I feel this story leaves more of a lasting impression with the adult who reads it. Anyone, even a grown-up, would feel angry if all they heard all day long was “No,” right? Little Monkey is having a bad day. After a major melt down, he goes to his room and uses some coping techniques to calm down. He sings a a quiet song, cuddles with his blankie, and learns how take deep breaths. After you read: Practice deep breaths — but don’t wait until you are experiencing a bad day. 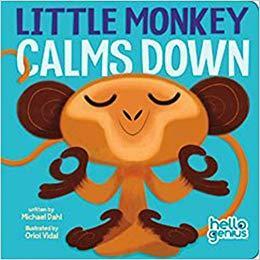 Practice Little Monkey’s techniques or come up with your own. Have your child pick a song that makes them feel calm. From the moment Bella wakes up, her day goes wrong. She hates her breakfast egg, she won’t share, she has a hurting foot, her supper is too hot, and her bath is too cold. And then it’s no, no, no to bedtime. After you read: Make a list of things that make your day yes, yes, yes. The company of a favorite teddy bear, looking out the kitchen window, a favorite book or a warm hug. 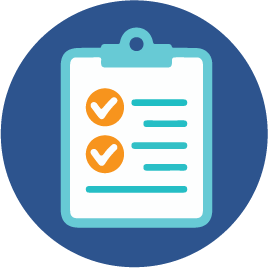 Now write down or draw your list together and keep it handy for when you are having a no, no, no day. The girl has a wonderful idea. 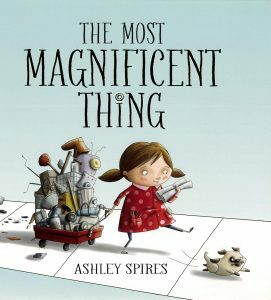 “She is going to make the most MAGNIFICENT thing! She knows just how it will look and how it will work. All she has to do is make it, and she makes things all the time. Easy-peasy!” But making her magnificent thing is anything but easy, and the girl tries and fails, repeatedly. Eventually, the girl gets really, really mad. She is so mad, in fact, that she quits. After you read: Make crafts together, like a simple origami or drawing pictures of dogs. Look for a way to model how you are challenged. “Wow, this fold is hard!” or “Drawing noses feels tricky.” Then, help each other calm down and try again when you don’t get it right. Bird wakes up feeling grumpy. Too grumpy to eat or play. Too grumpy even to fly. “Looks like I’m walking today,” says Bird. He walks past Sheep, who offers to keep him company. He walks past Rabbit, who also could use a walk. Raccoon, Beaver, and Fox join in, too. 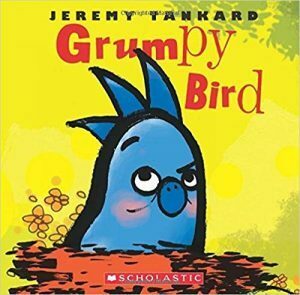 All the while, Bird grows grumpier and grumpier! After you read: Discuss, “why do you think hugs and kisses make Katie feel better?” Asking, “What do you like for me to do when you’re feeling upset?” may give you some new strategies for tough moments together. Everybody acts differently when they get angry. And in this story, readers can see with their very own eyes many different ways of expressing anger. When children don’t have the words to express their feelings, they sometimes resort to hitting. But in this story, we learn that there are other ways. 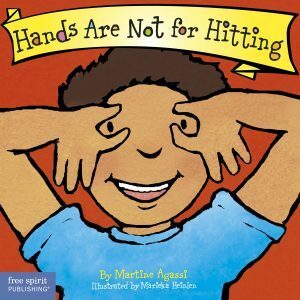 After you read: Rough play is an important part of developing motor skills. Talk about what things are ok to hit: a ball, a pillow, pizza dough. Then talk about all the other things that must be handled carefully: people, pets, breakable objects. 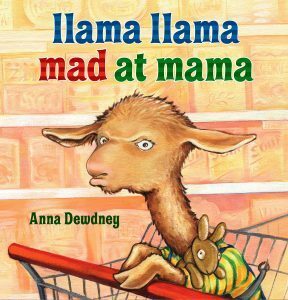 Actions have consequences in this sequel to Llama Llama Red Pajama. The hoofed protagonist goes shopping with his mother, and gradually the small annoyances of the Shop-O-Rama send the youngster into a tantrum. With admirable patience and parenting skills, Mama tames the “llama drama,” explaining to her son that they can make the chore fun by working together. Soon Llama Llama is helping Mama clean up the messy results of his meltdown and complete their purchases, and then they are off to pursue more pleasurable activities. After you read: Make drawings of what feelings are like. Choose what color goes with each feeling and then make lines or scribbles and doodles that reflect each feeling. After you read: Talk about feelings. What feelings you feel often and how you wear them on your face. Use your phone and take pictures together of all the feelings you can come up with. 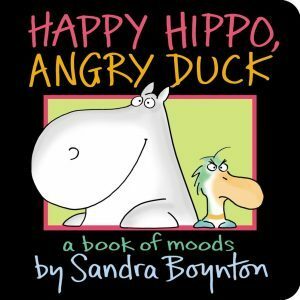 This bold, beautiful board book introduces five essential expressions: happy, sad, angry, surprised and silly. Each is introduced with a large image of a baby’s face. 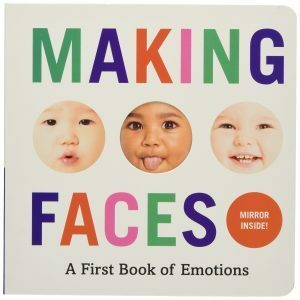 Readers are asked to mimic the face, then pick it out from a group of other babies. The very last spread includes all of the expressions from the previous pages, and a mirror so readers can watch themselves make any face they please. After you read: Recreate the book in real life! Grab a mirror and make faces together, naming your emotions as you go. Brighter Readers Book Crew is a group of early education professionals, child advocates, parents and book-loving experts that want to share their love of stories and books with families all across the state. Do you want to share the books you love and why you think they are great? Send a message to jenniferd@earlylearningindiana.org with the subject line Book Crew. Tasty reads for your little foodie.